Good mapping is critical if you want to follow best management practices such as variable rate application. Using satellite imagery, software, GPS technology and local field knowledge and history, we’ll help determine the appropriate field boundaries or zones to maximize your results. 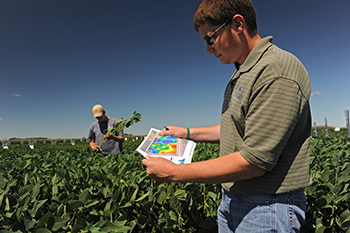 We’ll also overlay proper agronomic and environmental data in order to achieve layered mapping, then create a data file that transfers maps to the application unit. Call us today to get started on the most efficient, targeted application of your inputs. Let’s discover precisely what your land can do for you.